Three Daughter Dad! – Page 3 – 1 Kings 2:2 …Be Strong, and prove yourself a man. When I walk in the door, Im going to plug in my phone in my bedroom. Typically this is the area in the house I spend the least amount of time after I get home. So what is the benefit of this Disconnect from my phone? Well to piggy back again on a prevoious blog, preparing for time with my family, is one thing we all fail to do. At work, we plan to be successful, we schedule meetings, send deliberate emails about specific events or projects. Same thing at home. Plan to spend at least 10 minutes with each child before bed and ask open ended questions. It will be awkward at first, but over time it will become normal. There was a time in my life that I would take one day each month and one of my daughters and I would go and do something fun where we could talk. I used the day of their birth to mark these days. This is someting I read about on Tony Dungys allprodad site. So for example, my oldest daughter was bon on the 10th of Oct. So on the 10th of every month, we would go get ice cream, or starburcks. Nothing elaborate, but meaningful. But, because I havent made that a priority, that has fallen by the wayside. My challenge to myself is to bring that habit back. If your kids are old enough to be home alone, you can add your wife to the mix. 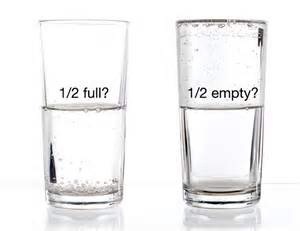 But regardless of how you schedule, make it something you plan. Put it on the calendar. Send a calander reminder to you kids. Discounecting from our phone / tablet will help us plugin with our family. Try it for a week and leave me a comment on the impact it has on your family. 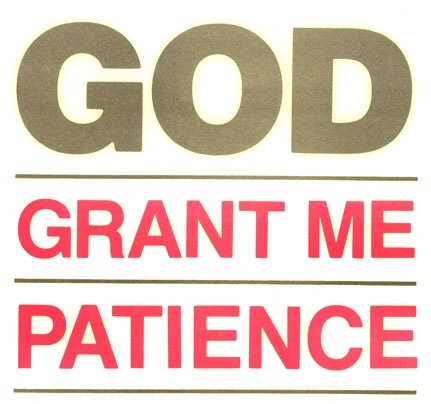 This ties into the patience blog. Do I ever walk in the door after work with an attitude that matches the crappy day I’ve had? YES! Probably more often than I would like to admit. Dishes on the counter and in the sink- Be thankful we have food to eat. House is a mess- Be thankful My wife and I can work, and we have a roof over our heads and we are safe at night. Kids are running wild- Be thankful I have 3 beautiful daughters with seperate personalities and energy to run and play. My wife doesnt understand- I Should be thinking…How can I take care of her first, so you have more energy and time. Remember, The things you complain about, someone is praying for those things to come into their life. So, how do we change it. 1. Use the drive home to de-compress. 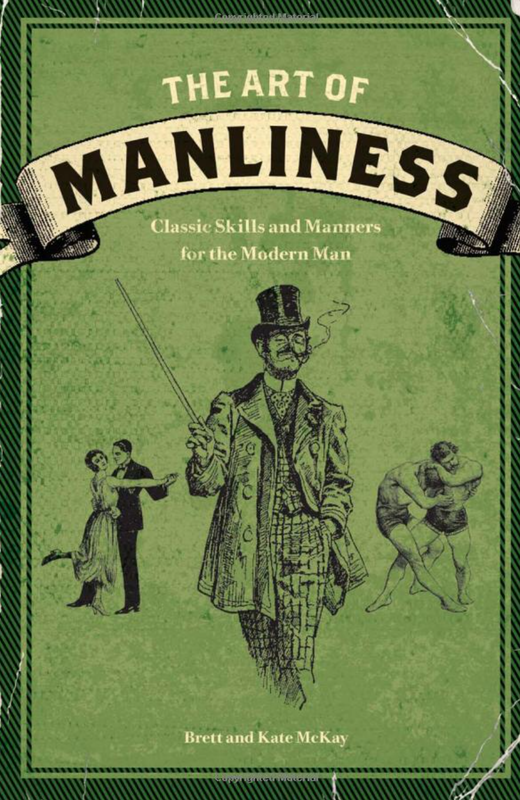 Listen to a positive podcast like The Art of Manliness, Order of Man, or the Good Dad Project. 2. Listen to some music that will help you sifft out of that stress zone. 3. Walk in the door with a happy, smiling, positive attitude. Give highfives, fistbumps, hugs and kisses. Try this, if you your kids are still small, grab one of them, throw them over your shoulder and spin them around. They will laugh, and you cant help but smile. 4. Bring flowers to your wife for no reason. Yes, giving is better than receiving and doing nice things for others makes us feel better too. 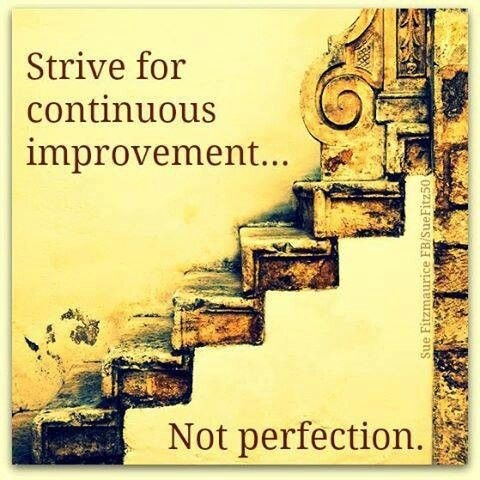 I dont have to strive for perfection, but I do have to strive for Improvement. So if your like me, you love DIY projects. We research, plan and prepare as we design and build . But do we do that when it comes to being a good dad and having patience. I would say that paitence is one of the biggest things all men sturggle with. I am 100% responsible for how I react. It is a choice. How do I make a better choice? -Talking with or talking to: Do I talk with or talk to my kids. probably more to vs with. -Plan for patience- We plan our work schedule but do I have a plan for when things get chaotic at my house? -Plan to walk in the door not thinking about the stress of the day. -No instruction manual for being a dad. Unfortunately, there is no instruction manual on being a dad. So how do we grow and imporve? Find a group of guys that you can bond with and talk about these issues. -Every response we give impacts our kids and marriage. How do we get it? Consider the 3 P’s for patience. Every man needs to know how to start a fire without matches! If your like me, you have a bug-out-bag with items that you would need if there were ever (or as Creek Stewart says, not if but when) there were a survival situation where you had no power. Fire is one of those important things that can be useful for cooking, purifying water, and warmth. So i’ve had the Gerber Bear Grylls Survival Series Ultimate Knife for a while. I bought it becasue, 1. It is a Gerber product and I really like their knives, 2. because it has the ferrocerium rod for fire starting. This knife has a host of other features (which you can read about in the description on Amazon) as well which are an added bonus. But for the purpose of this blog, I want to focus on practicing starting a fire without the use of matches. If you follow @creekstewart, watch fat guys in the woods, or read survival manuals for fun, you’ve seen this method used. Ive had the tools to do it for a while, but never tried. So this past weekend, we decided to build a fire for the purpose of making smores. 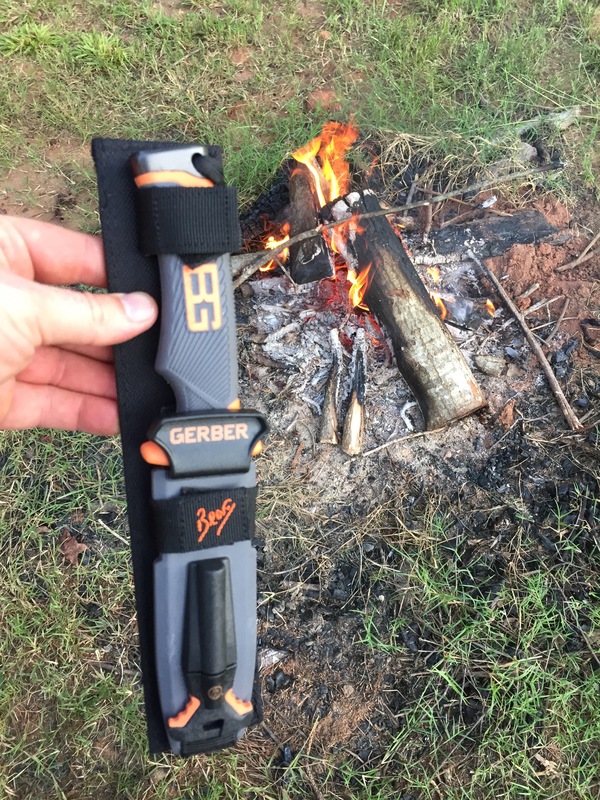 Instead of grabbing the aim-n-flame and starting a fire, me and daughter #2, set out to build it with just the fire starting tool on the Gerber. We made our tinder bundle, started creating sparks with the fire rod, and before you know it, we had an ember. Added some oxygen, and we have a fire. Like I said, Ive had the tool for a while, understood the process, but have never done it. Now I feel even better becasue I know I can do it, but more importantly, my daughter was part of the experience and it was a good learning opportunity for her. I guess as parents we call that a teachable moment. Remember, you dont have to be in the woods to practice. Next time you want to grill, try to start the fire without matches and get a flame going before you add your charcoal. Practice makes perfect! Thats what my parents always told me! 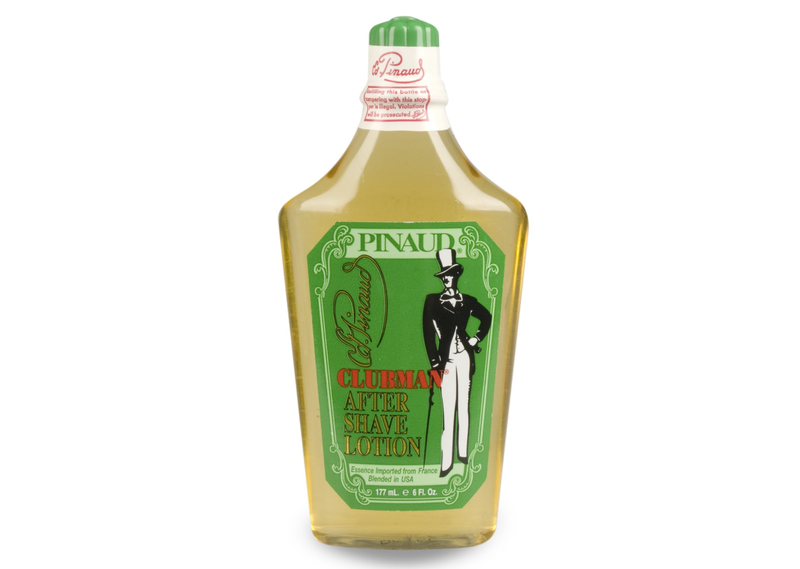 Clubman Pinaud aftershave which has one of the best reviews I’ve ever seen on Amazon whih is pictured below. So, do yourself a favor and “man up” and start shaving like a real man. 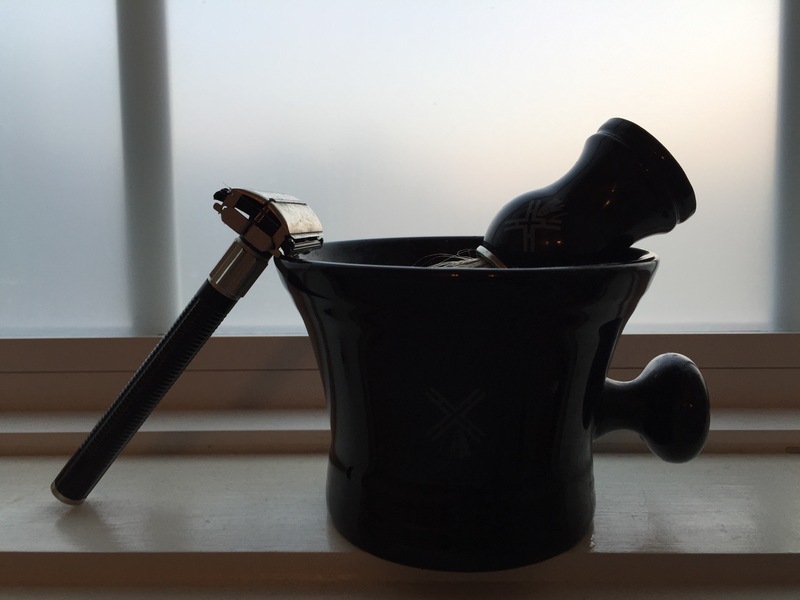 Shop Amazon for all of your Safety Razor needs. Saw this on orderofman.com blog and thought it was worth repeating. I travel quite a bit and confirmation numbers for hotel stays are always a mix of numbers and letters. So heres the question, have your ever been on a phone call and need to give a number with letters in it (example..VIN number on a vehicle to your insurance agent) to the person on the other end and you struggle through it trying to come up with words to use with the letters like K- Kangaroo, U- Umbrella or D-Dog. 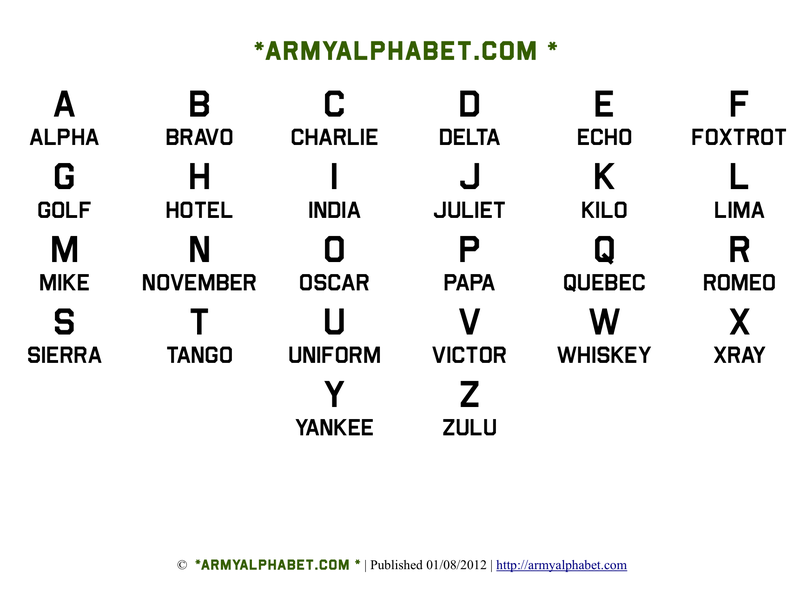 Check out armyalphabet.com for free downloadable pdf’s and flash cards or just keep the image below handy below for reference. One interseting thing is that this phonetic alphabet has channged several times over the years. Originally developed in 1913 and revised in 1927, again in 1938, and then around WWII the version we have today was put in place. The only letter to never change through all of the variations is X (X-ray). We are running through life to sleep! Most days I feel like that is true. Especially as a #threedaughterdad. But when you get to spend time in the woods, build something with you hands, these are the moments when time and hurry are not thoughts that enter my mind. 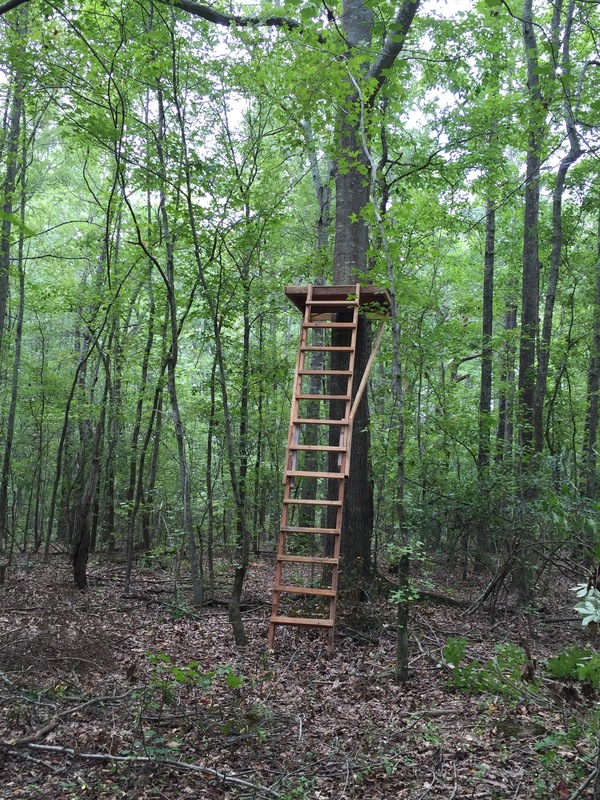 DEER Stand big enough for two. 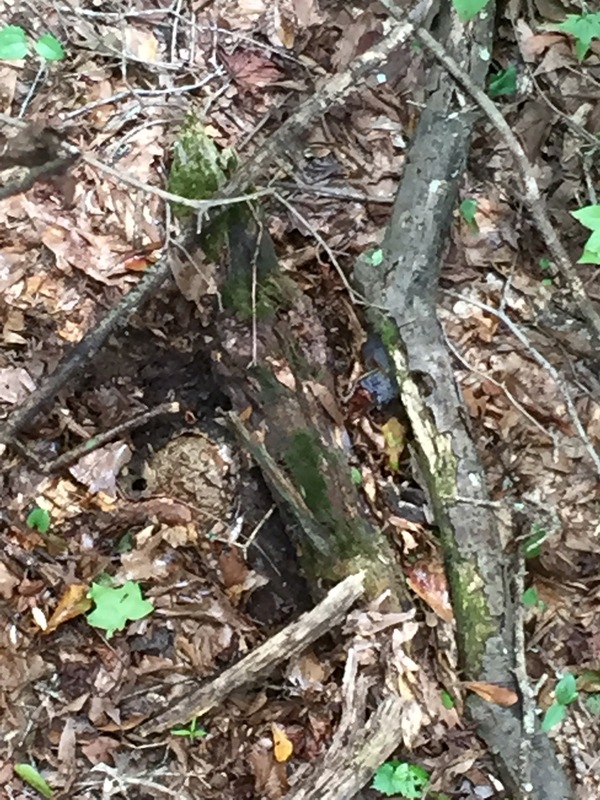 YELLOW JACKET NEST in the ground. OUCH! So……. 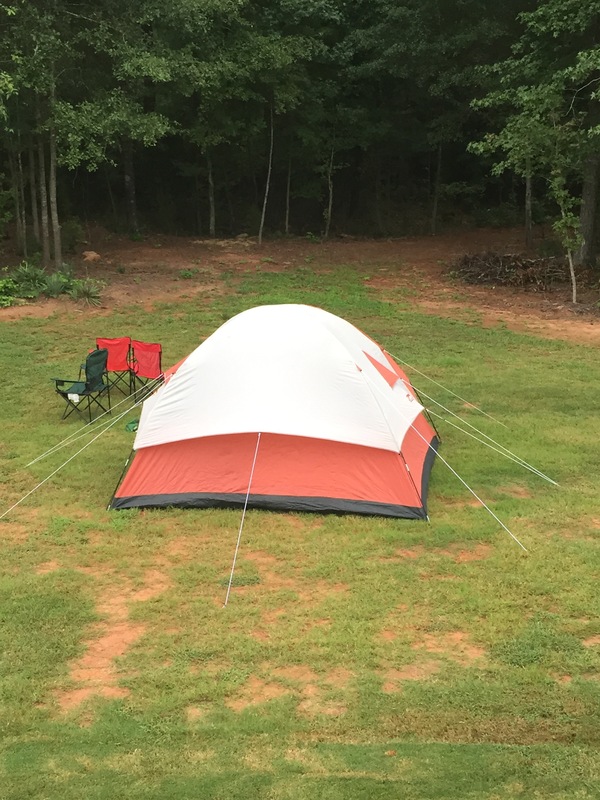 If all of the above wasn’t enough, one of my threedaughters wanted to set up the tent and camp. So that’s what we did. Set up the tent, built a fire and this is the view we woke up to. Again, nature=relaxing. -Do we have to have a beard and hunt? (I do both), but this is not the criteria. Its more about finding things that make you use the instinct you have within you to help you build the confidence, and develop an attitude to live a life that feel fulfilled. Ive recently read a series of books by Gary Paulsen about the “adventure” taken by one kid/man and it really makes me yearn to spend time outdoors. 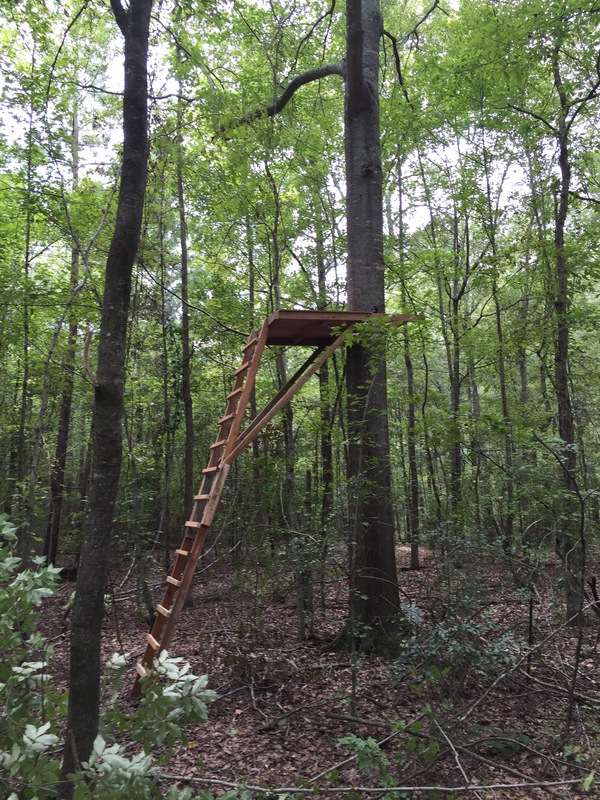 In the woods, on the water…. but outdoors. So as I start to blog about this idea of Manhood, I must say that I am not the prefect man. But I do try to be a good Christian, husband father, provider, friend, Church memnber and hunter-gatherer. As we explore this idea of Hunther-gatherer, I think it is important to look at the definition of Hunter-Gatherer. A hunter-gatherer or forager society is one in which most or all food is obtained from wild plants and animals. Started using this a few weeks ago and really like the concept behind it. 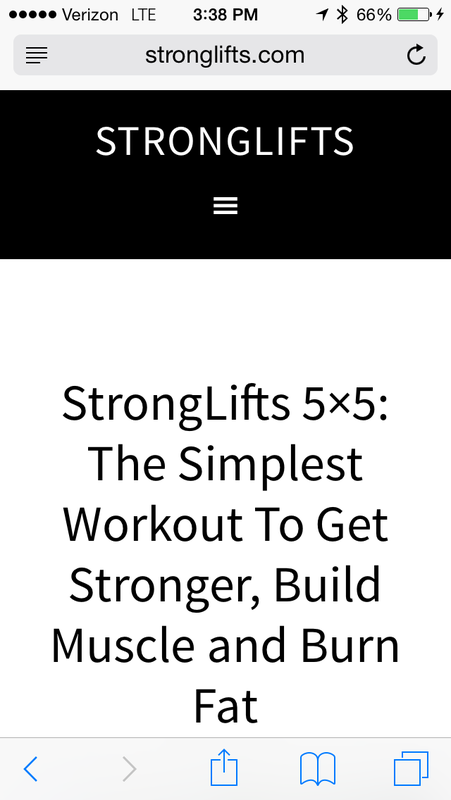 It Is a heavy lift regemin using 5 sets and 5 reps per set. I don’t use it all the time but there are times when I travel that I have limited time so it works well in those instances. It is also nice to mix up the routine every now and then with some heavy lifting.